When undertaking a landscape project, most homeowners overlook a very important thing: the look of their driveways and walkways. 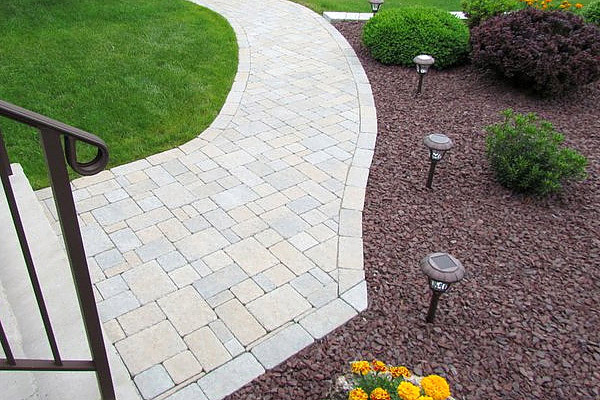 While seemingly minor, your driveway and walkway design can impact the overall aesthetics of your yard or garden. These hardscapes do not only connect you between two points but also add style to your landscape. 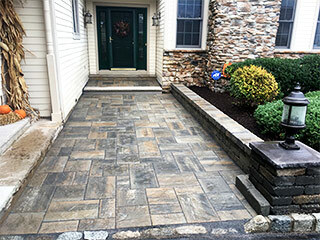 But there are a number of things to consider when designing paver driveways and walkways, and these include the existing theme of your home. Another thing to consider is the engineering and construction of these structures. Paver installation, for example, must be done carefully and skillfully since a small mistake can lead to costly repairs. To ensure that you will have durable and functional structures in your property, only rely on experienced contractors. And one company that you can rely on in Columbia, New Jersey, is JB’s Landscaping. 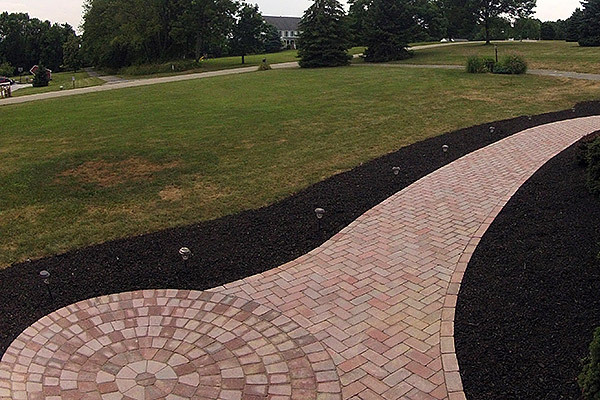 Our company is an ICPI-certified installer, specializing in custom design and installation of driveways and walkways for residential and commercial properties. 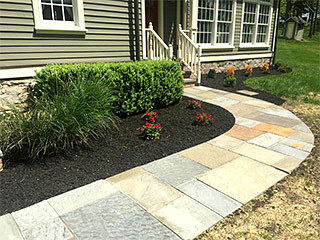 Careful consideration is given to aesthetics, space, soil conditions, and drainage to ensure that you get durable and functional hardscapes. 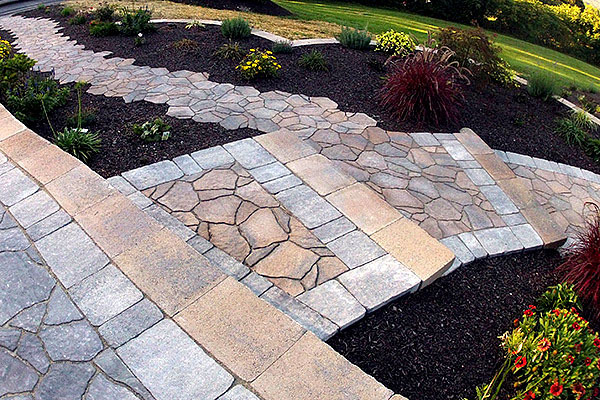 Our hardscapes are individually designed to fit into the existing theme or style of your property. We give the same attention to detail and level of commitment to every project-large or small. Please feel free to browse our portfolio to get a feel of how we put creativity to our creations. Our main goal is to give our clients the best services possible. This is why we work closely with Meier Stone Company located in Flanders, NJ for all of our quality pavers and wall block needed for our projects. 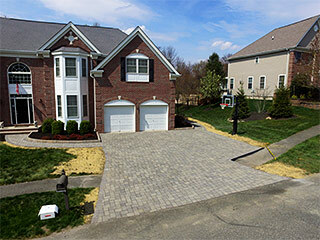 Driveways built by JB’s Landscaping do not only function as needed, they also look stunning. They are proven to last years of use and abuse. Since these structures are built using premium materials, they can take high vehicular and foot traffic. 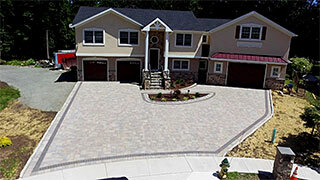 Our paver driveways can dramatically improve the look of your property. With the help of our creative designers, we can come up with design patterns that complement well with your home’s architectural style. Walkways lead your visitors from sidewalk to your front door, around the side of the house, or to certain areas in your backyard. Whether you want basic from-here-to-there walkways, curved, or meandering, you can expect superior quality results. 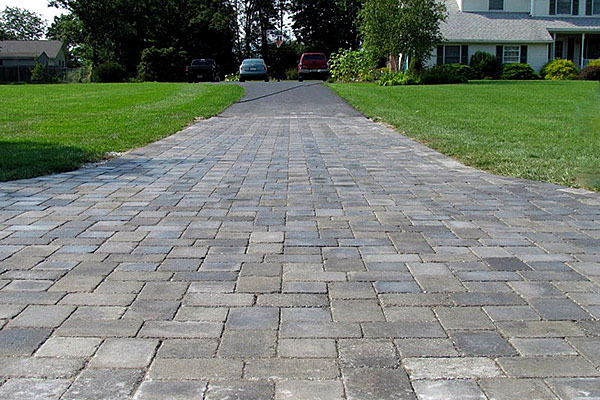 Just like our driveways, paver walkways are work of art built to last for many years. Consultation - We discuss your ideas and needs, and then identify the possible designs appropriate for your property. Design - We create a design that fits into the topography of your home and blends with its architectural style. Install - We carefully engineer and install these hardscape structures for durable results.